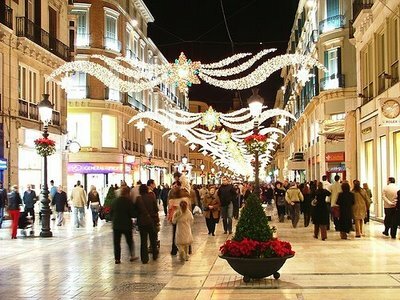 The Smart Traveler: 5 Best and the Worse Place for New Year's Celebration! 5 Best and the Worse Place for New Year's Celebration! 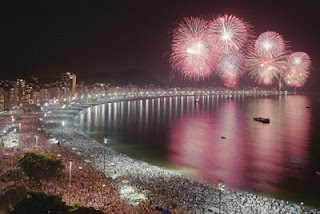 New Years Eve is celebrated world-wide by all people, regardless of their nationality and religion. We are all waiting for this special night and carefully preparing for it. 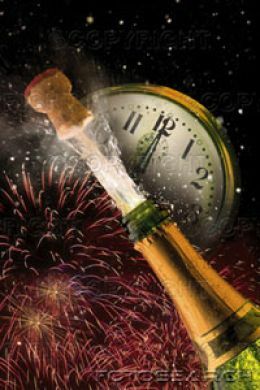 Many people even believe that a fulfillment of an upcoming year depends on how you spend your New Years Eve. If it is full of joy and happiness, then a new year will be full of joy and happiness and vice versa. Many people like to stay at home with their families and friends. Others like to travel - some to ski resorts, some to exotic islands, some to a new city. And if you finally want to visit a city you always wanted to visit, New Years Eve is a perfect time to do so. That is a magical time when all of the cities around the world are more gloriously alive than they usually are. Here you are FIVE BEST PLACES to be for New Years Eve in order to have unforgettable New Years celebration. 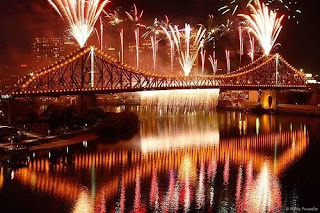 To be one of the first in the world to ring in the New Year, go to Sydney. 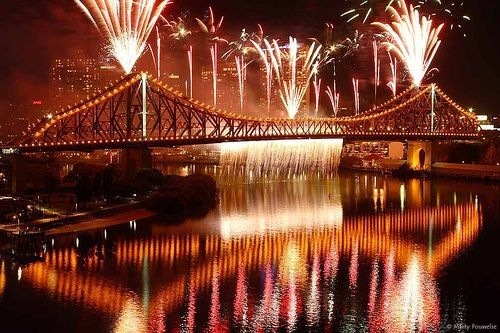 Here, you can witness absolutely stunning fireworks accompanied by music exploding over the Sidney Harbour Bridge, the magnificent center piece of beautiful Sydney Harbour. More than a million people gather around Sydney Harbour for Midnight Fireworks, countdown and party. There are plenty of vantage points around the harbour, but probably best views of fireworks and all the New Years action are from one of the boats in the harbour. What can be better than to party on a boat at New Years Eve wearing shorts and flip flops? Don't forget to book your place on board in advance! Ring in the New Year Spanish style by participating in Noche Vieja in Barcelona. From ballroom dance to salsa to flamenco to rock band performances - music, dance and parties are all over the city and festivities last for as long as a week. At midnight, when a great clock strikes twelve, experience old Spanish tradition of eating 12 grapes, one grape following each bell sound. This custom goes back to the Roman Empire and symbolizes passing the sweet flavor of grapes towards the New Year so it began sweetly. If you stay in Barcelona till January 5, then you have a chance to participate in Cabalgata de los Reyes Magos (Three Kings Parade). The Three Kings arrive by boat at the waterfront of Barcelona and proceed slowly through the city throwing barley sugar sweets to the children lining the route. 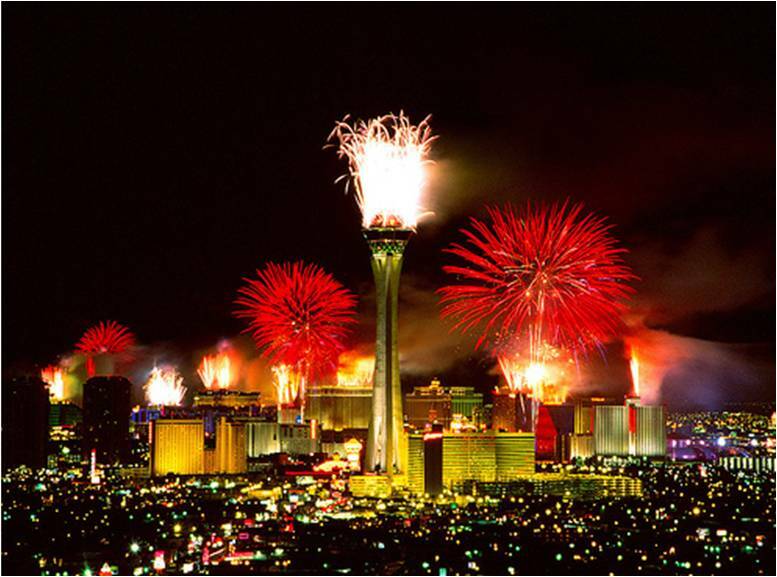 Enjoy New Years dinner in Paris, ring in the New Year in New York and have a great New Years party in Venice - you can do all of it during one New Years Eve in Vegas! Sin City gets just a little bit more debauched (if that were possible) as the strip is pedestrianized for a massive party, complete with fireworks, sound and light shows, and more clubs than you could visit in a dozen trips. Hundreds of thousands of revelers turn up in the evening, and you can be sure the party is going to get a little crazy -- it isn’t called Sin City for nothing. At midnight, a massive fireworks display will grab your attention. And for once, it’s cool to drink on the streets; everyone else will be doing it. As something memorable, a New Year's Eve beach party in Brazil is hard to beat. Beautiful women, fireworks, a carnival atmosphere, an incredible setting on the most famous beach in the world, and you have all the ingredients you need to have the most incredible New Year’s experience of your life. Known locally as "Reveillon," the entire beach turns into an all-day party, with several musical stages, dancing, and everyone dressed in white (it’s tradition). Over two million people turn up along the four kilometers of sand, making this the ultimate New Year’s party, which you simply mustn’t miss. Don't forget the flowers for Iemanjá and jump seven waves to bring luck on the New Year! Beautiful weather, relaxed atmosphere, gastronomic heaven and party, party, party! 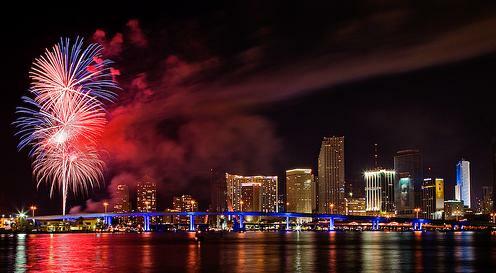 Welcome to New Year's Eve in Miami Beach. You can have a fantastic dinner on one of the restaurants on Ocean Drive and then walk to the beach and watch the fireworks at midnight before heading for a New Year's party on a night clubs on Washington Avenue. Miami Beach has a unique vibe and became a destination for the winter months! NOW THE WORSE PLACE TO SPEND NEW YEAR'S EVE! This is just my opinion, I've been there and done that. If you like screaming kids and teenagers, crowds, an exhausting experience, bitter cold... so you may not agree with me. • Go early. Crowds start forming in Times Square by late afternoon. If you’re not there by 8:00 p.m., don’t expect to get too close. • You’ll be herded like cattle. For safety reasons and easy access in and out in case of emergencies, police keep people in groups behind barriers. And once you’re in there, it’s not so easy to get out. • If you do get out, you won’t get back in. There’s no showing your stub at this event. If you leave your place, don’t expect the police to let you back. And yes, this means that you can’t leave to go to the bathroom. • You probably won’t be able to see the ball. Think about it. The ball is at the top of a twenty-five story building (the second tallest in the world when it opened)—the perspective from below it on the ground isn’t so great. If the crowd is spilling into side streets, some people won’t even be able to see the building. • It will be a long wait. If you’re lucky, the people around you might be entertaining. Even the cops might be entertaining. Just don’t ask them to sing McNamara’s Band. You might, however, be able to start a sing-a-long of American Pie which should waste ten minutes. • Alcohol isn’t allowed. But given that you can’t get to a bathroom, is that such a bad thing? • It will be loud. You should be glad of that though, because if it weren’t for the crowd yelling you probably wouldn’t even know when the ball is about to drop. • It will take a while to get out. Seriously. You don’t just walk away when it’s over. It can take up to an hour for over a million people to clear out of there. If this sounds like fun for you, go for it!